Have an Idea of what type of massage you are looking for, this will help guide you toward the right massage therapist for you. Bodywork is both an art and a science. As with any healing art the extent of formal training, years of experience and natural gifts are important when selecting a practitioner. Ask/Check the therapist’s background. In Nebraska a therapist must be licensed by the state in order to practice massage. Ask or research how long a therapist has been licensed and what training he/she has received. We have this information on our massage therapists provided for you on our website here. Ask for personal recommendations from friends or health care providers. Ask what the strengths of the therapist are and where they may not fit with your particular needs. Look for affiliations through professional offices. Some doctors and chiropractors employ or refer out to massage therapists. Note the attitude of the practitioner and the environment where he/she works. Is he/she professional? Respectful? Most important do you feel comfortable with this person. A practitioner must inspire your confidence and trust. Beware a massage therapist who claims they can “cure” you. Massage therapists are not permitted to diagnose illness. Most will agree that their work is geared toward relaxation and/or helping with a particular condition, which enables the body to better heal itself. After a consultation with your massage therapist you will be guided to the massage table along with instructions on how to position yourself. Removing clothing prior to treatment is not necessary, the best approach will be determined by you and your therapist. If you plan to remain clothed be sure to wear loose and comfortable clothing. You may also be asked by your massage therapist to bring shorts and a loose fitting t-shirt for some therapies. You will be draped appropriately at all times by a sheet and warm blanket. Although sometimes it is easier to manipulate soft tissues with direct contact to the skin removing any clothing is not required. It is best to discuss any concerns you may have with your therapist before starting to make sure you are as comfortable as possible. A 24 hour notice is required before cancelling or rescheduling your appointment. This allows us time to fill that reservation. If 24 hour notice is not provided you will still be responsible for the full price of service, due same day. In turn, we will offer the same 24 hour notice if we are unable to honor our appointment with you. If we must give less than 24 hour notice, we will reschedule your appointment for our next available time, to include appointments outside of regular business hours. We understand that life happens and we will do our best to accommodate should you run late. We generally can work within a small delay, however if things run 10-15 minutes or longer, we must still end your appointment at the scheduled time in order to be on time for our next appointment. Full price will be charged for the actual scheduled appointment time. In return, we will make sure we are on time, and if for some reason we are not, we will give you the time back or adjust the price of the session. If you are unable to make your appointment and do not contact us to let us know, you will be charged the full fee of service. An invoice will be sent to you for the missed appointment and will need to be paid before or at the time of your next appointment. Our prices vary slightly based on the Massage Therapist you choose. Standing appointments. 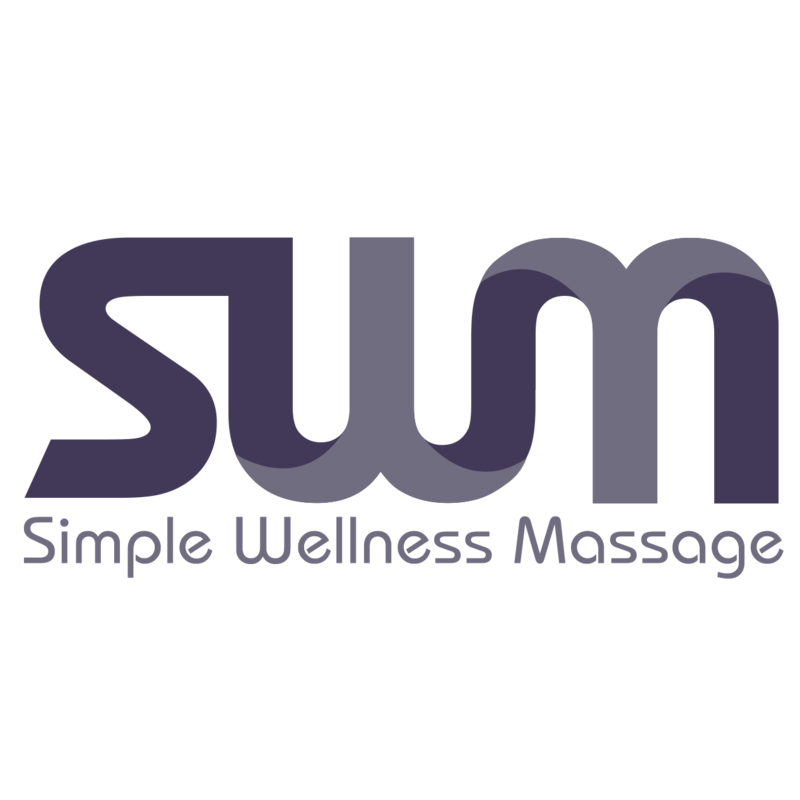 Set up a recurring appointment with Simple Wellness Massage at your next appointment. Same day appointments are available by phone or text message. The online system allows you to make an appointment for any time 12 hours in advance. This is so we have time to correct any problems that may arise in the schedule. For example if it is 10pm, the soonest you could make an appointment online would be 10am the following day. If you do not receive a confirmation e-mail, you have not completed the appointment process and will not have an appointment! If you are unsure about your appointment, please contact us. In case you need to change your appointment, you can make changes in the system or give us a call and we would be happy to assist you.